Donald Trump has boasted that he's "leading every poll and in most cases big." Not anymore. 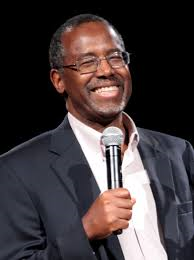 The latest IBD/TIPP Poll shows him in second place, seven points behind Ben Carson. The nationwide survey found that 24% of Republicans back Carson, compared with 17% who say they support Trump. Marco Rubio came in third with 11% and Carly Fiorina fourth at 9%. Jeb Bush, once considered a prohibitive favorite, ranked fifth with just 8% support, which was a point lower than those who say they are still undecided. York Times concluded that IBD/TIPP was the most accurate among 23 polls over the three weeks leading up to the 2012 election. Other polls show Trump's support slipping in recent weeks. The Real Clear Politics average of six national polls shows him falling from 30.5% in mid-September to 23.3% by the end of the month. That average does not include the IBD/TIPP findings. The IBD poll appears to be a bit of an outlier, understating Trump's support while overstate Carson's. While most polls show Trump's support falling off earlier highs, they still show Trump in the mid to lower 20% range and still leading the pack. This view is confirmed with a Pew Research poll released on Friday that shows Trump leading with 25% and Carson second with 16%. Nonetheless, it does appear that support among Trump has topped out at around 25%. The problem for the New York businessman is that he is few Republicans' second choice. As others candidates drop out, their supporters are likely to go to Trump's remaining opponents. It's interesting that while Democrats like to call Republicans, and the Tea Party, in particular, racist it is African-American Ben Carson who is a favorite. Even in the heart of the Old Confederacy, Louisiana, Carson is popular, leading Trump 23% to 19% in yet another recent poll. Republican Presidential candidates are irrelevant because none are able to and therefore will ever actually preside over the country. They are entertainment pure and simple in a caricature kind of way. We don't elect celebrities. The GOP doesn't offer statesmen. Despite their best efforts to write a script that presents America as problem ridden the truth is that Americans know that we left problems behind in 2008 and now enjoy solutions. As a Republican I had hoped for recovery of traditional party values but that's been denied. At least for now, perhaps forever. Don't quite agree Pete; the Republican field is of superior quality & Americans aren't "enjoying" what statists pose as solutions. Anon 10:44, not sure if I agree that Trump votes are uninformed. Many of them know about Trump's liberal past and liberal present, yet they support him anyway. Many of the same people calling for the government to be shut down over Planned Parenthood support the only GOP candidate in the race, Trump, who wants to continue funding Planned Parenthood. Geez. Pete, I want an anti-establishment candidate too. But I want one who is also a conservative. Trump is not a conservative, not even remotely. He, like Romney, is just telling Republicans want they want to hear. We didn't trust Romney? Why in the world would we trust Trump?